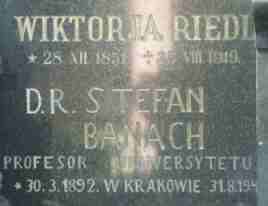 Stefan Banach was born on 30 March 1892, in the St. Lazarus General Hospital in Krakow. He was the child of Stefan Greczek and Katarzyna Banach, who were not married. On 3 April 1892, he was baptized in the Roman Catholic Parish of St. Nicholas in Krakow. As a month-old baby his parents gave him up to be cared for in the nearby countryside where he was well looked after, in exchange for payments by his father. However, after several months Katarzyna Banach took him away and entrusted him to be raised by Franciszka Płowa and her niece Maria Puchalska in Krakow. 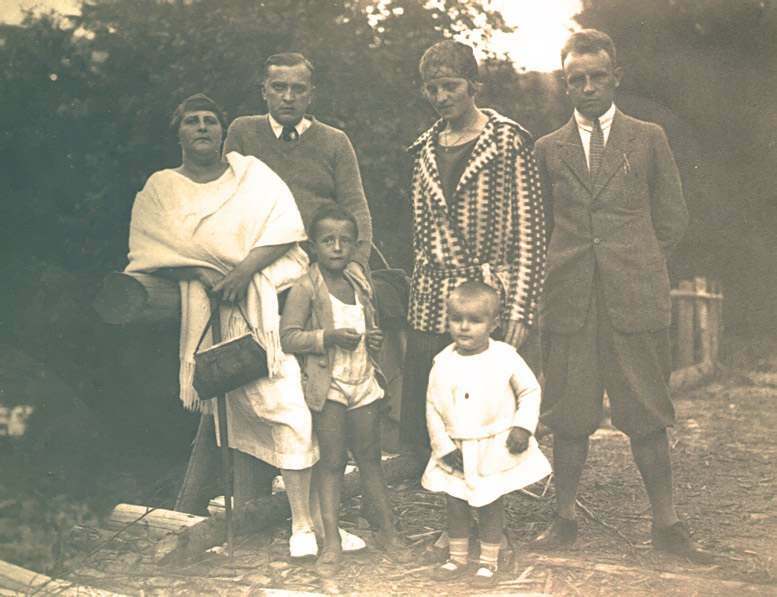 Stefan Banach at 3 years of age at the Krakow Planty Gardens. Stefan Banach thus found himself in the tender care of the foster family of Franciszka Płowa, the owner of a laundry business in Krakow, and her niece Maria Puchalska. The latter's close friend and erstwhile guardian was Juliusz Mien (1842-1905). He was French but had lived in Poland since 1870 and was a man of letters, translator of Polish literary works and also a photographer. Mien was in frequent contact with his good friend Maria, her aunt and their young charge Stefan, and was the only intellectual in the boy's immediate milieu. He was, therefore, the most likely person who would have encouraged and guided his interests in mathematics and watched over his general education. It was also he who was undoubtedly responsible for Banach's excellent French that he later had the opportunity to demonstrate so well at international mathematics conferences he attended. It would seem that Banach's conditions were not at all bad for the times he lived in. Franciszka Płowa's husband was the director of the Hotel Krakowski and relatively well off. Banach grew up looking on Franciszka Płowa, the owner of a successful business, as his natural grandmother and on Maria as his older sister. Nevertheless, he did not have the best memories of his childhood. He never knew his mother, although he did know and had a relatively normal, if not close, relationship with his father. While under the care of Franciszka Płowa and her niece Maria, he began attending school. Not much is known about his early school days as no documents have so far been found relating to that time. However, there is considerable material connected with the time he spent in grammar school and the years that first shaped his personality and began to reveal his extraordinary talent and abilities in mathematics. He completed his primary school education in 1902 and at 10 years of age enrolled in the Henryk Sienkiewicz Grammar School IV in Krakow. It was located in Podwale Street and was commonly known by the name of Goetz because it was housed in a building rented from Jan Goetz-Okocimski, a Krakow brewer. The school, which emphasized the study of humanities, did not count as one of the more exclusive. However, it should be remembered that strong ties existed between the grammar schools and higher institutions of learning like the Jagiellonian University and the Polish Academy of Arts and Sciences. The staff and members of those institutions often taught at the local schools, thereby raising their academic standards. 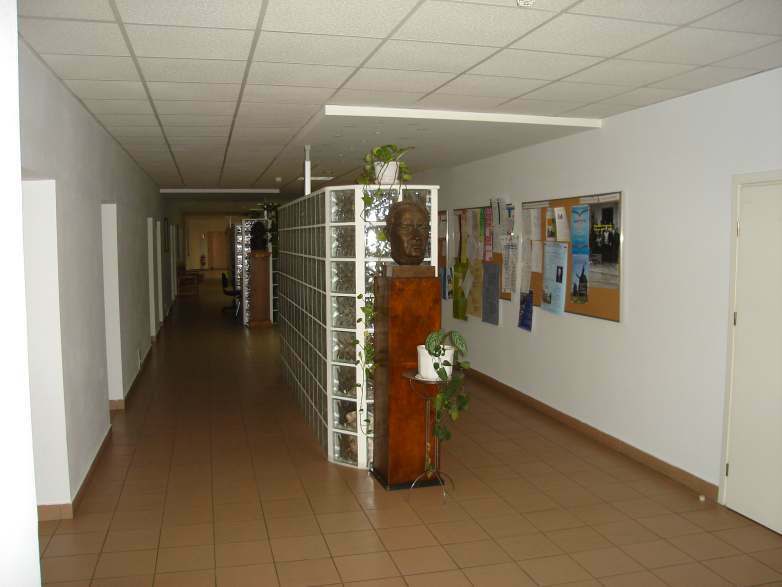 This was common practice and the norm at all of the grammar schools in Krakow. 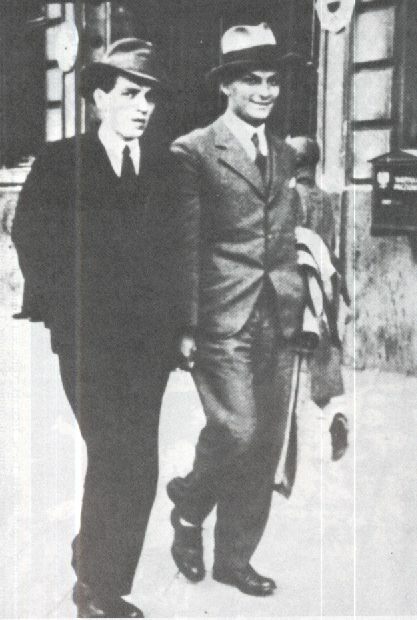 Two of Banach's schoolmates at that time were Witold Wilkosz (1891-1941), himself a future mathematician, and Marian Albiński (1891-1978), who years later wrote his memoirs . It is worthwhile to quote at length from these because they are the only source to shed light on some characteristics that Banach exhibited in those early years. Albiński was a classmate of Banach for four years from 1902 until 1906. He then transferred to the Sobieski Grammar School for reasons that provide some insight as to the relations that existed in the schools of that time. According to Albiński the reason he transferred was due to a conflict that had arisen between him and a teacher of Greek at the school who had given him a failing grade at mid-year. In the school system at the time of the Austro-Hungarian annexation that was severely punishable by an officially recordable fine of 20 crowns. ,,Wilkosz transferred together with me to the Sobieski Grammar School, for reasons unknown to me. Banach remained in Grammar School IV until he took and passed his final examinations there in 1910. After I left the Goetz school my ties with Banach were not as strong as before although Wilkosz continued to maintain a close relationship with him and, as Wilkosz and I were still friends, I often saw them together. As I remember him, Stefan Banach was mild mannered but not without a gentle sense of humor and he was a good friend at school, although a little reserved. He always wore a clean and decent school uniform, like the rest of us, and he did not look pale, sickly, or hungry, although forced through meager material circumstances to tutor younger schoolmates for money, as well as those in the wider population; his own classmates he would help freely and without payment. From their earliest school years Banach and Wilkosz bonded together through their mutual love of mathematics. During the so-called school "breaks" I often saw them solving math problems, which seemed to me, a student of humanities, to be quite incomprehensible. Banach's friendship with Wilkosz was not limited to only the school grounds. They would meet after class in Wilkosz's home on Zwierzyniecka Street or in the school buildings as well as in the Krakow Planty Gardens. Later on, when they were older, walking home with them through the streets of Krakow might take half the night when in a very excited state and oblivious to time they would be discussing some question or other that challenged their minds. I took no part in these math discussions but often argued some other issues at length with Wilkosz, with whom I had a closer relationship. We were drawn together during our time at school, and even later, by a common interest in literature and a penchant for some of the same girls at the school." 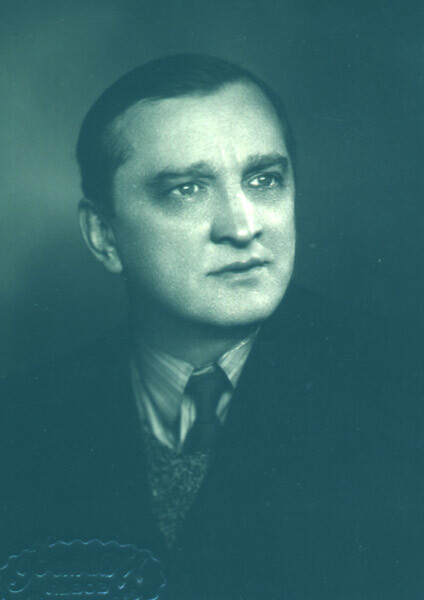 After completing grammar school Wilkosz graduated with a degree in mathematics from the Jagiellonian University in Krakow where he was later to be appointed a professor. ,,There is documentary evidence that Banach was a very diligent student, which is an uncommon characteristic of geniuses. And it should be remembered that the school curricula of that time stressed Latin, Greek and modern languages, and put little importance on the exact sciences. Banach attended school when it taught precisely in such a classical tradition. Consequently, its teaching programme coincided little with Banach's abilities or interests. 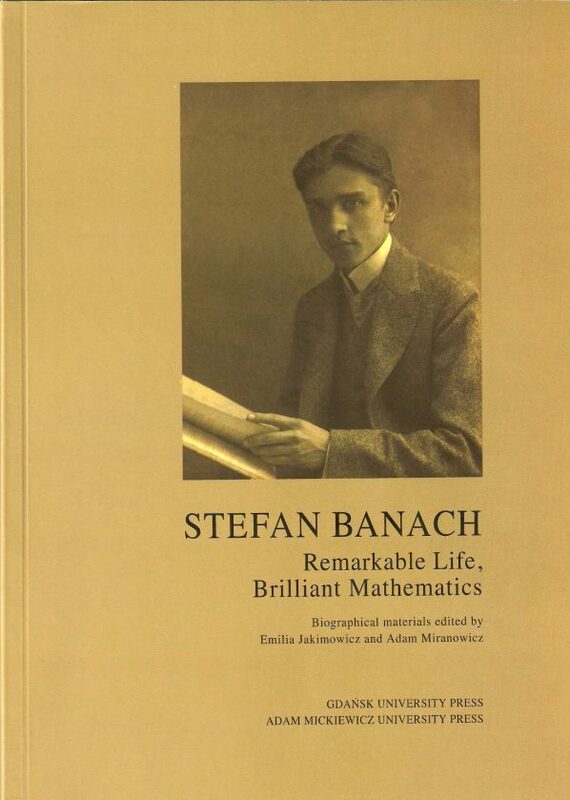 Those teaching mathematics were not always fully competent in that discipline and Banach in his reminiscences was quite critical of the lowly level and manner in which his favorite subject was taught at school. Religion, 2 hours per week. The Old Testament. Latin, 8 hours per week. Supplementing the knowledge acquired in the first year about regular forms and indeclinable parts of speech. The most important irregular forms. Syntax of common subordinate clauses. Verbal and memory exercises as during the first year. Every month 3 classroom assignments, 1 home assignment. Polish, 3 hours per week. Grammar: Review of subjects covered during the first year. Complex sentences, types of subordinate clauses. Further study of punctuation and correct spelling. Reading of abstracts from literature and recitation. Essays 3 times per month alternating between home and classroom. German, 5 hours per week. Speech in the form of questions and answers to read passages, memorizing words, phrases and whole passages. Review of regular declension and the main principles of syntax. A weekly assignment, including one per month as homework. History and Geography, 4 hours per week. 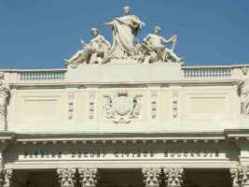 Ancient history especially of Greece and Rome employing a biographical approach. Geographical and political maps of Asia and Africa. Latitudinal and longitudinal divisions of Europe. Detailed geography of South Europe and of Great Britain. Cartographic drawing exercises. Mathematics, 3 hours per week. Review and further study of highest common divisor and least common multiple. Systematic study of common fractions. Conversion of common fractions into decimals and vice versa. Ratios, proportions. The rule of three and use of simple proportions. Inference. Calculation of percentage. Geometry: Axial and central symmetry, congruent triangles and their application. The most important properties of circles, quadrilaterals and polygon. Training and work assignments as in the first year. Natural History, 2 hours per week. During the first 6 months zoology: birds, reptiles, amphibians, fish, crustaceans and worms, mollusks, protozoa. Starting in March the world of plants. The school also offered a choice of other subjects that were not compulsory: history of the homeland, French (which according to school records no second year student selected), singing, art, calligraphy, gymnastics and stenography." Many years later Banach said that his interest in mathematics was ultimately aroused and guided by Dr Kamil Kraft (who taught mathematics and physics at Grammar School IV). Perhaps through overwork, or boredom with the classroom material, he lost his enthusiasm for studying. And in 1910, just before his final graduation exams, he confronted a major difficulty. He, the excellent student of former years, was now threatened with a failing grade in eight subjects! Not even the despairing math teacher may have been able to help get him through the exams (even after explaining to the high supervisory commission that they were dealing with an authentic genius in mathematics) were it not for the intervention of the school priest, Father Paweł Pyłko, who in those times would have had a deciding voice. The priest, it must be said, showed surprising tolerance in supporting the future mathematician. Banach was a skeptic and had often embarrassed the good priest with some of his comments. Out of a total of 27 final year students 6 achieved a passing grade "with honors". Banach was not among them and had to be satisfied with a grade "with merit" (behind him were only two students who had to retake the exams). After graduation when discussing their future plans Banach and Wilkosz were both convinced that mathematics was already so advanced that nothing new could be achieved in it; and so it would not be worthwhile to go on to study mathematics. Banach chose technology, and Wilkosz oriental languages. Much later, when already deeply involved with mathematics, Banach admitted in a conversation with Prof. Andrzej Turowicz that in their youthful presumption both Wilkosz and he had been wrong about the possibility of advances in mathematics . In 1910, the two friends parted company after they graduated from the grammar school. Not much is known about Banach's life during the years immediately after grammar school. There is no doubt, however, as evidenced by his future achievements, that those were not wasted years for Banach. He studied mathematics on his own and for a short time attended the Jagiellonian University in Krakow. 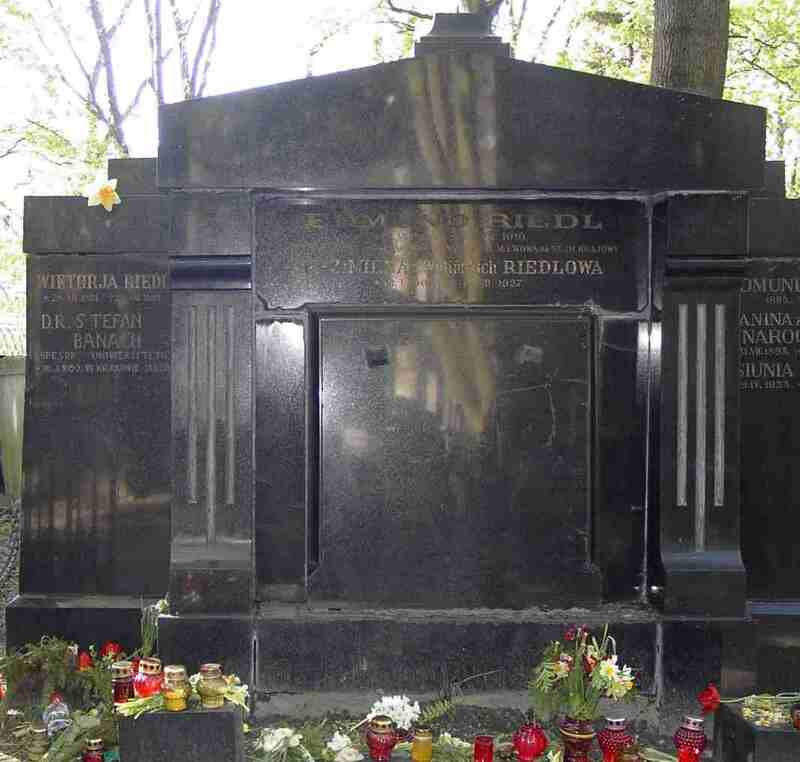 From 1911 to 1913 he studied at the Lvov Polytechnic  and earned a diploma from there. Lvov at that time was a prominent center of Polish culture and learning . Those who lived there at the time were unanimous in their impression of the city as very beautiful and quite special. Of its 200,000 inhabitants, about half were Roman Catholic (mainly Polish), about a third Jewish and quite a large number were of the Greek-Orthodox faith (Ukrainian), or belonged to the Gregorian (Armenian) or Lutheran Church (mainly Austrian), as well as some other churches. It is also interesting to note that Lvov was the only city in the world where three metropolitan of the Catholic Church maintained their official seats. Trade and commerce flourished in this conglomeration of faiths, nationalities and cultures. So did scholarship of every kind, but especially in the humanities and exact sciences, although the latter came later and was in large measure due to the work of Banach. 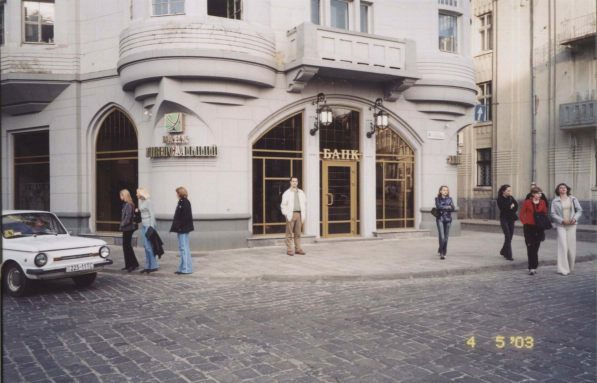 Aside from his studies there, not much is known about Banach's life in Lvov at that early time, about his friends, acquaintances and interests. It is likely that, as was the case in the previous and also in later years, he earned his livelihood through tutoring. When the First World War broke out in July 1914, followed not long after by the offensive of the Russian army in response to a declaration of war by Germany, Banach left Lvov and returned to Krakow. It should be noted that he was exempted from military service because he was left-handed and had poor vision in his left eye. 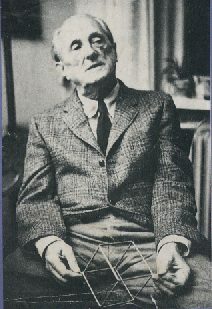 Although not enrolled in any formal studies at the time, Banach continued to be passionately interested in and involved with mathematics, and deepened his knowledge of the subject through books and discussions that he often had with Otto Nikodym (1887-1974) and Witold Wilkosz, who both later became university mathematics professors. ,,In 1916, during a summer evening while I was taking a walk in the Planty Gardens I overheard a conversation, or rather only a few words; it was so unexpected for me to hear the term Lebesgue integral that I approached the bench on which those speaking were sitting and made their acquaintance: they were Stefan Banach and Otto Nikodym. They told me their small group also included a third friend, Wilkosz." 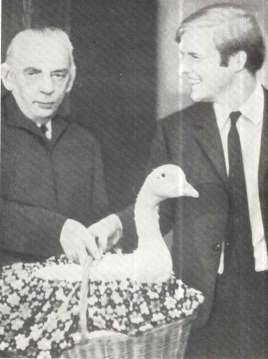 This meeting of Steinhaus and Banach had almost immediate consequences for mathematics. Steinhaus invited both Banach and Nikodym to his house and described to them some problems he had been struggling with for a long time and been unable to solve. Banach came up with a complete solution within a couple of days. It subsequently became the first of Banach's publications, written jointly with Steinhaus, titled "Sur la convergence en moyenne de séries de Fourier" (On the Mean Convergence of Fourier Series), published in a Bulletin of the Krakow Academy of Sciences 2 in 1919. This auspicious beginning brought Banach to the attention of other mathematicians (also in no small measure due to Steinhaus). 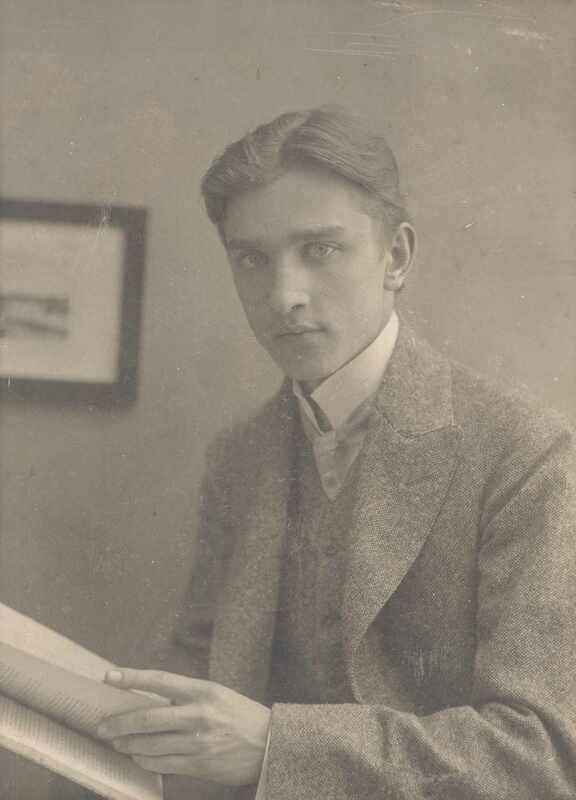 Stefan Banach at 27 years of age, Krakow 1919. It was a time of lively discussion among Polish intellectuals. Information flowed from many sources to inspire the learned and the scholars. Mathematics was experiencing its own important times. The very young Zygmunt Janiszewski (1888-1920) formulated a programme of work and set goals for Polish mathematics. 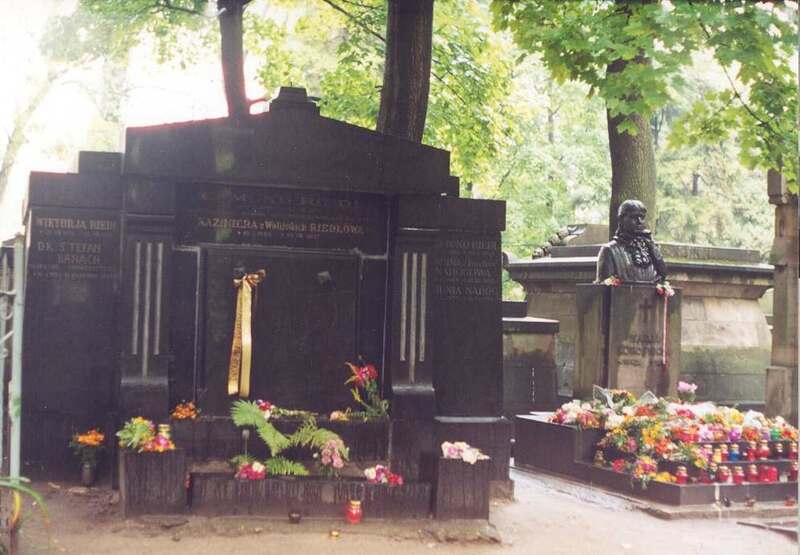 He wanted Polish mathematics to be able to achieve an independent world standing, and suggested bringing together a number of Polish scholars in the subject and the founding of a journal dedicated solely to those branches of mathematics connected to set theory and the foundations of mathematics. He thought such a publication, published in a language more popular abroad, would have a dual role: it would make known to the world scientific community the achievements of Polish mathematicians while at the same time attracting the contributions of foreign mathematicians with similar interests. In other words, it would be an international organ for the new branch of mathematics established by Polish mathematicians. 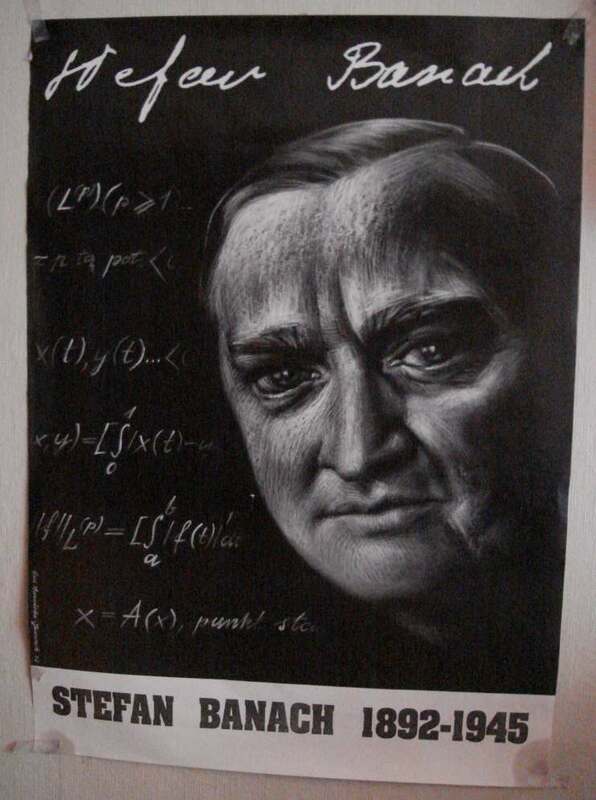 "If we want to get appropriate recognition and standing in the scientific world community, let us use our own initiative" was how Janiszewski appealed to the Warsaw community of mathematicians. This aim was very soon realized. 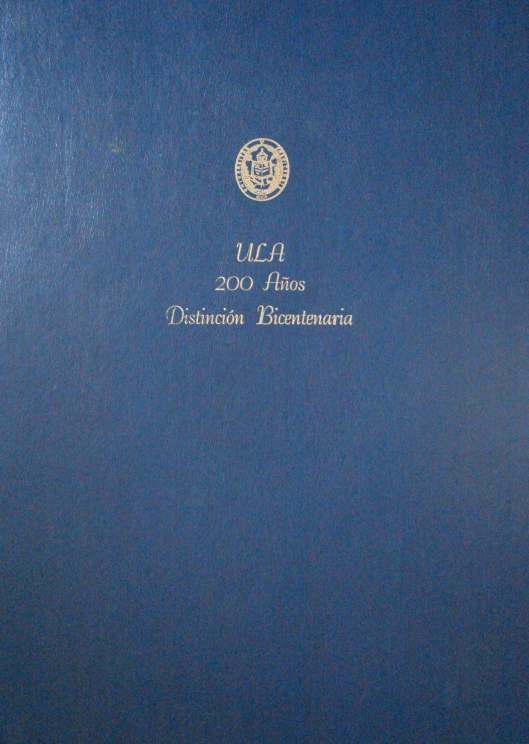 The first volume of the periodical Fundamenta Mathematicae was published in 1920. Its editors were Janiszewski, Stefan Mazurkiewicz (1888-1945) and Wacław Sierpiński (1882-1969). A paper by Banach was published in it: "Sur l'équation fonctionnelle". This was notably the volume which contained the first of Banach's publications in the new periodical. Unfortunately, an obituary appeared in the same issue announcing the death from dysentery of Janiszewski on 3 January 1920. On 19 September 1920, Banach married Łucja Braus in St. Stephen's Church in Krakow. Łucja Braus came from a family of tradesmen. She started working while still quite young. 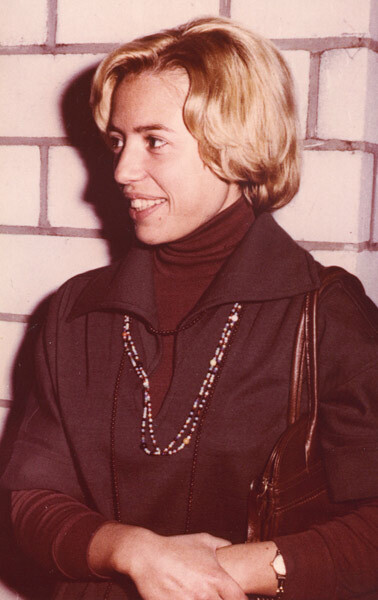 When she met Banach she was employed as a secretary to Władysław Steinhaus (a cousin of Hugo Steinhaus) and later as a shorthand typist in the law office of attorney Lisowski. Lisowski was the son-in-law of Ignacy Steinhaus who lived in Vienna and with whose family she had been brought up until she came to Krakow. 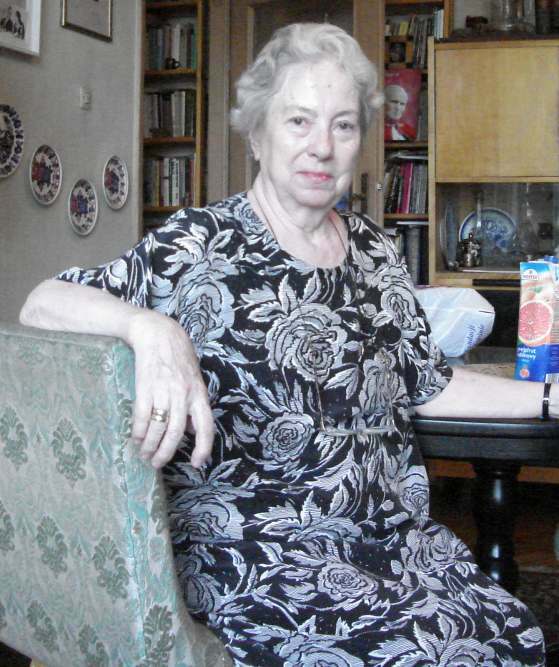 She initially spent some time in the Steinhaus family home in Jasło before taking up residence in Krakow, but continued to have a close relationship with them. Her first meeting with Banach took place in the home of Jadwiga Lisowska where the Steinhaus family was residing at the time and where Łucja was working typing law papers for attorney Lisowski. Banach was a frequent visitor of the Steinhauses' and was interested in Łucja. 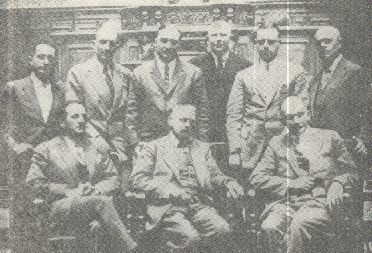 From the left sitting: H. Steinhaus, E. Zermelo, S. Mazurkiewicz, standing: K. Kuratowski, B. Knaster, S. Banach, W. Stożek, E. Żyliński, S. Ruziewicz (Lvov 1930). 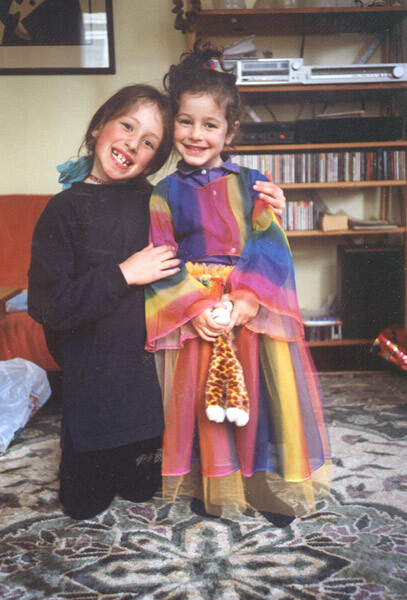 Following their wedding the couple left for Zakopane and stayed at the Villa Gerlach. 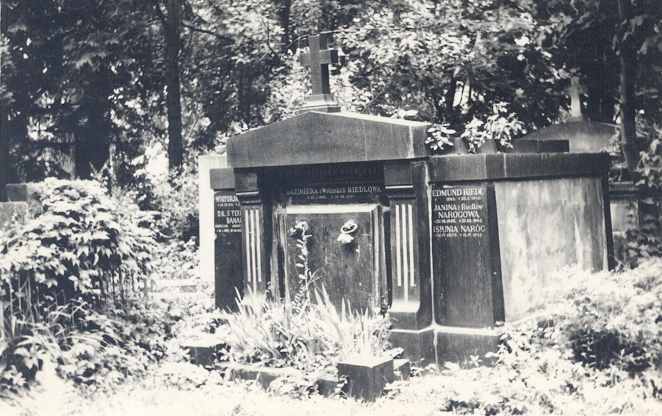 Originally this had been the property of the late Dr Bronisław Chwistek which he had left to his son Leon Chwistek (1884-1944), the well-known writer and mathematician, and to his daughter Anna, wife of the accomplished mathematician, Włodzimierz Stożek (1898-1943). The villa was visited that summer by the Chwistek and Stożek families, and later by the Banach and Sierpiński families. 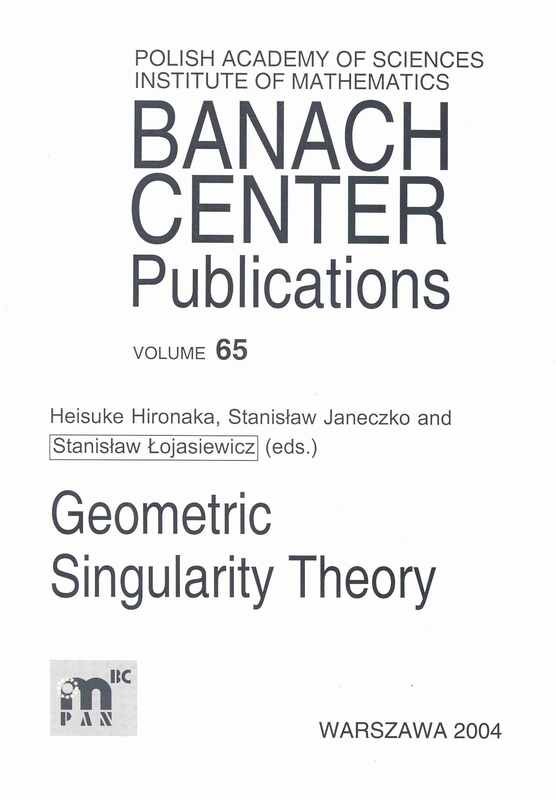 It was there that Banach together with Sierpiński and Stożek wrote and edited their mathematics textbooks, later to be used by many generations of students . In 1922, a son, Stefan Jr was born. 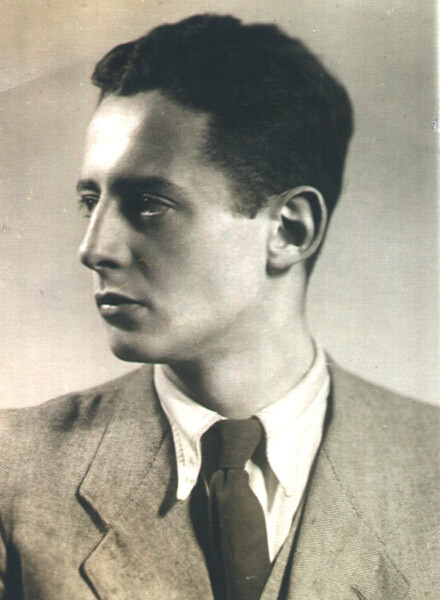 Stefan Banach Jr. as a student of medicine, 1942. 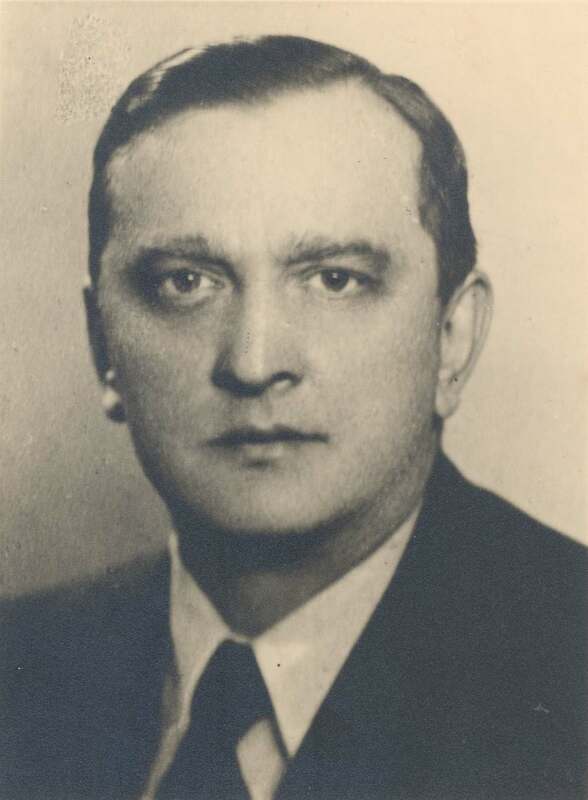 In 1920, Professor Antoni Łomnicki (1881-1941) appointed Banach to be his assistant at the Lvov Polytechnic. He did so despite the fact that Banach had not completed his university studies. This proved to be the start of Banach's brilliant career which then progressed quickly. 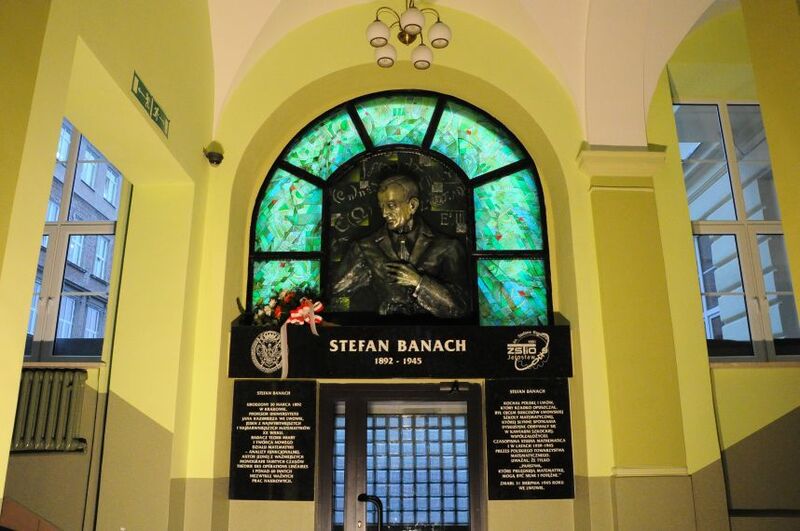 That same year Banach submitted his original work for a doctorate at the Jan Kazimierz University in Lvov. It was published as "Sur les opérations dans les ensembles abstracts et leur application aux équations intégrales" (On Operators Defined on Abstract Sets and Their Applications to Integral Equations) in the third volume of Fundamenta Mathematicae. The old Jan Kazimierz University at 4, St. Nicolas Street. ,,Not only had Banach not graduated from a university but he also obtained his PhD degree in a most unconventional way. When he took up his position in Lvov he had already written several mathematics papers with important results and was constantly coming up with new ideas. However, in response to advice that he ought to soon submit his PhD thesis, he would say that he had time to do so and would be able to come up with something even better compared to what he had produced so far. Finally his superiors became impatient. They had someone compile the results of Banach's latest work. It was considered to be outstanding PhD material. Nonetheless, the regulations required that an official review and external examination were necessary. 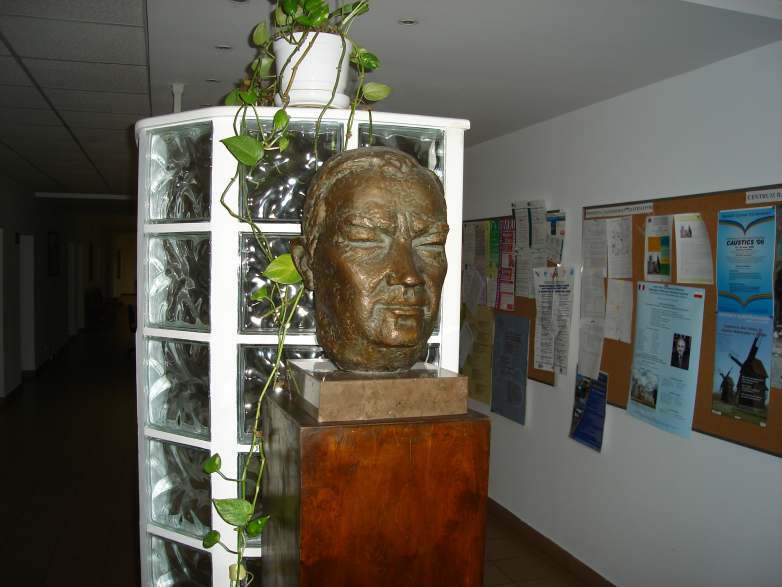 One day Banach was stopped in a corridor of the Jan Kazimierz University and asked: "Would you come to the Dean's office? There are some people there with questions about certain mathematical propositions that you should definitely be able to help them with". Banach went and readily answered all the questions that were put to him, all the time completely unaware that he was in front of a specially convened commission which had arrived from Warsaw for his PhD examination. Most likely today it would not be possible to obtain a PhD degree in this manner." In 1922, after completing postdoctoral work, Banach was appointed a full professor at the university. Two years later he was also elected a Corresponding Member of the Polish Academy of Arts and Sciences. For the 1924/25 academic year he went to Paris on sabbatical leave to lecture and to help with work in his field that had been started there. 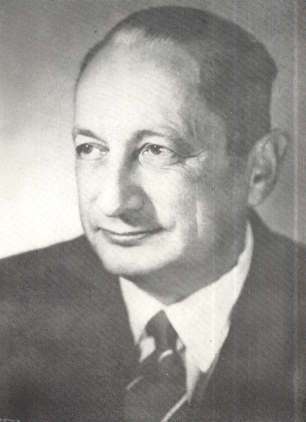 In addition to his heavy teaching schedule as professor in Lvov, Banach also greatly expanded his research work there. He soon became one of the greatest world experts in functional analysis of which he was one of the founders. About him he gathered several young, illustrious talents. 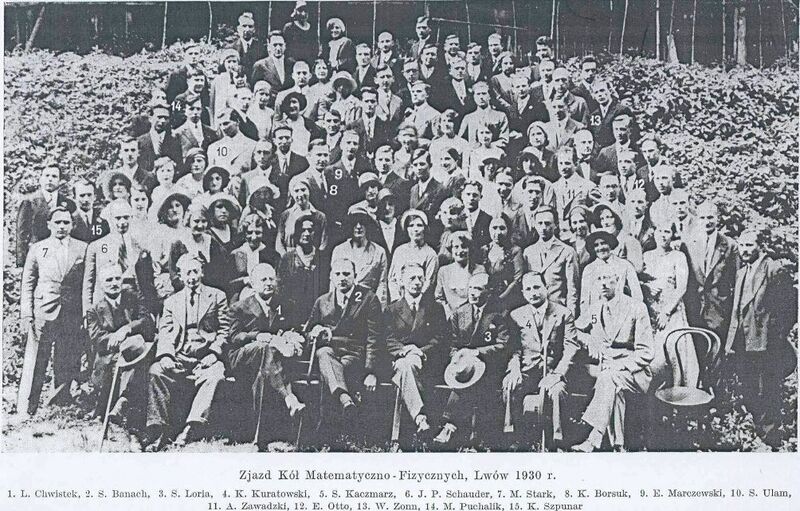 A new institution, the Lvov School of Mathematics, came into existence under the direction of Steinhaus and Banach, and as soon as 1929 began to publish its own periodical dedicated to functional analysis: Studia Mathematica. The world-wide recognition of Banach's results really came only following the publication of his book in 1931, which in the following year was translated into French as Théorie des opérations linéaires (Theory of Linear Operations) . It was the first volume of a series of monographs titled "Mathematical Monographs" ("Monografie Matematyczne" in Polish) of which Banach was one of the founders. This monograph was the first textbook in the field of functional analysis and bestowed fame on both the author and on Polish mathematics. ,,The decision in 1931 to start publishing the Mathematical Monographs should be considered a particularly important event for Polish mathematics. 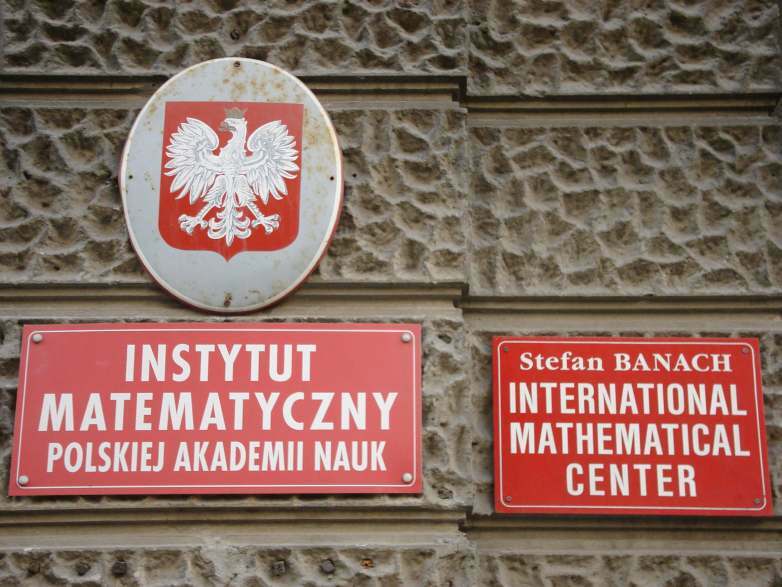 It marked a new stage in the development of the Polish School of Mathematics. The earliest stage, which could be called the pioneering stage, was characterized by the publication, almost always, of short articles containing new results (appearing mainly in Fundamenta Mathematicae and Studia Mathematica). 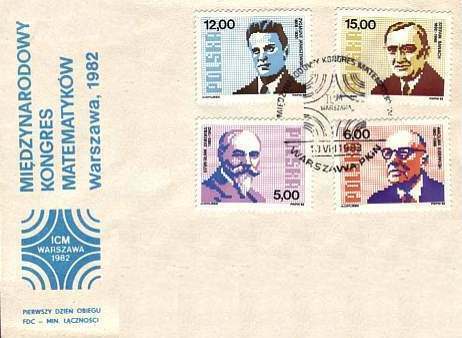 A time came, however, for a synthesis of all of the achievements of Polish mathematicians, or even for a synthesis of all the mathematics disciplines in which Poles had made especially significant contributions. The initial plan was to publish monographs on the subject of functional analysis: Volume I Operations lineares (Theory of Linear Operations) by Banach, Volume II Théorie de l'integrale (Theory of Integral) by Saks, Volume III Topology by Kuratowski, Volume IV Continuum hypothesis by Sierpiński and Volume V Theory of Trigonometric Series by Steinhaus and Kaczmarz. In a very short time the Mathematical Monographs achieved a position as one of the most important scientific periodicals." 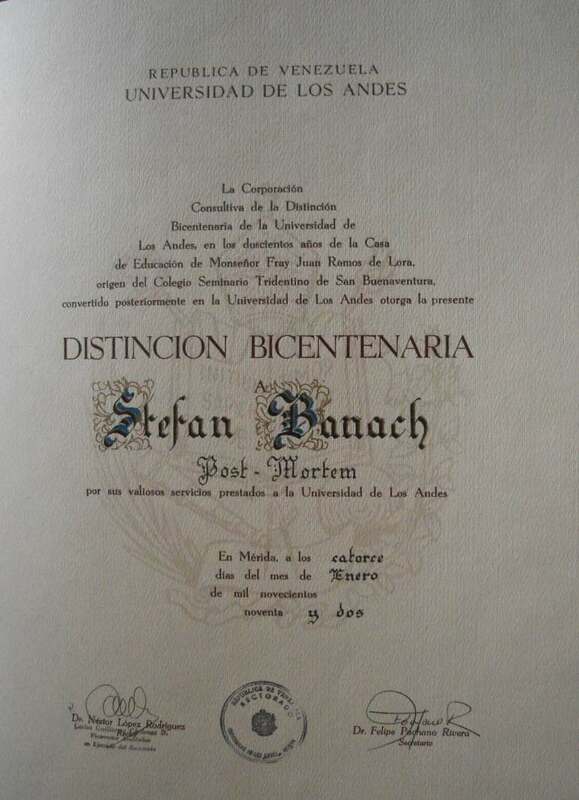 Banach also wrote textbooks of advanced mathematics that were associated with and complemented his teaching programme. Thus, volumes I and II of Differential and Integral Calculus  appeared in 1929 and 1930, respectively, and volumes I and II of Mechanics - In the Scope of Academic Studies  were both published in 1938. These, as well as texts for use in grammar schools, , co-authored with Stożek and Sierpiński, were created during somewhat dramatic circumstances for Banach. ,,He was always able to work under any conditions, and in all circumstances, and was unaccustomed to ease and comfort. His professor's salary of about 1000 zlotys per month should have been quite adequate. However, his fondness for frequenting coffee-houses, utter disregard of any bourgeois concern for material interests, and an absence of regularity in daily affairs, finally plunged him into debt and very trying times. In an attempt to change his situation he began writing textbooks." 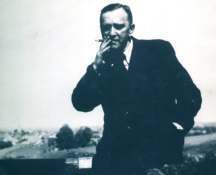 Turowicz mentions  that Banach received help at that time from Professor Benedykt Fuliński (1881-1942), who guaranteed his debts to the creditors. At the same time Fuliński was instrumental in getting Banach to change his spending habits and set aside some of his income every month. However, it was only his substantial income from his books that helped to pay down the debts, which were only completely liquidated when Banach received a prize from the Polish Academy of Arts and Sciences. By this time it was already 1939. In the meantime there was extensive world-wide interest by mathematicians in Banach's work and results. 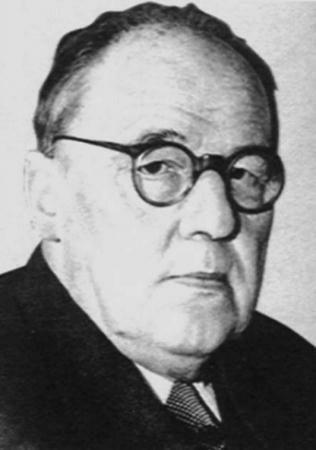 At the 1936 International Congress of Mathematics in Oslo Banach was entrusted with giving one of the keynote lectures on Die Theorie der Operationen und ihre Bedeutung für die Analysis (The Theory of Operations and its Significance in Analysis), which was undoubtedly a sign of the high regard for and interest in him personally and in his results. from the Soviet Union - Pavel S. Alexandrov, Nina Bari, Nikolai N. Bogolyubov, Lazar A. Lusternik, Nikolai Luzin, Dimitrii Menshov, S. Sobolev, and others. from Vilnius - Antoni Zygmund. 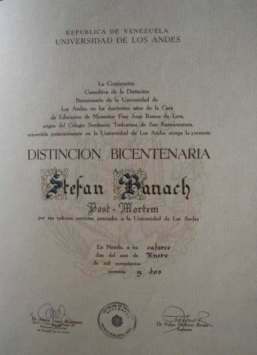 Functional analysis was the main domain of Banach's scientific work, and his results with it brought him world fame, but he also made significant contributions in other areas of mathematics. These included his work on the theory of real functions, the theory of orthogonal series, and set theory. One of the most spectacular results of set theory was discovered jointly by Banach and Alfred Tarski (Teitelbaum) (1902-1983) and was published in the paper "Sur la décomposition des ensembles de parties respectivement congruentes" (On Dissection of Sets of Points into Equal Parts), in Volume VI of Fundamenta Mathematicae. In this surprising paper, written in French in 1924, the authors discovered that it is possible, by using very original operations, to decompose a ball into parts and reassemble the parts into two balls each identical to the original. In this building the "Scottish Café" was located, from a contemporary photograph. The Lvov School of Mathematics was renowned for its coffee-house life, which had always been a favourite of Banach's. 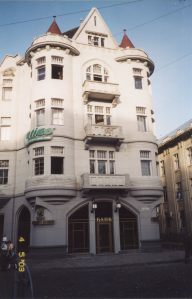 In Lvov the meetings to discuss mathematics were held in coffee-houses near the Mathematics Faculty, as in the Scottish Café, on Fredro Street. Everyday sessions in the Scottish Café, near the University, were very often continuations of the meetings of the Lvov group of the Polish Mathematical Society, and became an integral part of the mathematicians' scientific work. 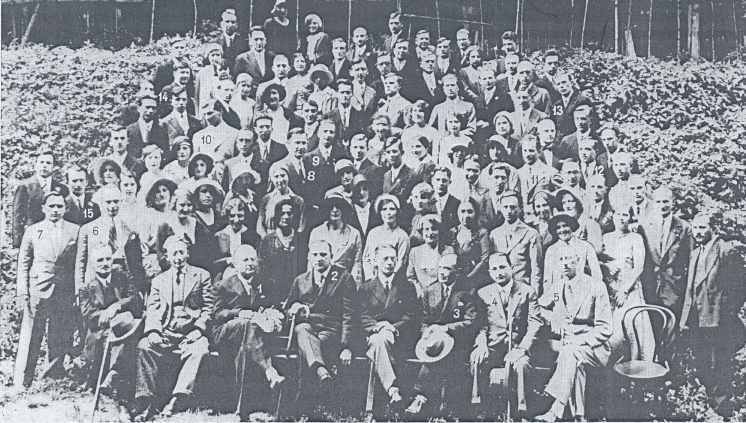 The students at the university did not normally frequent the Scottish Café, and only two, Stanisław Ulam (1909-1984) and his friend Józef Schreier (1909-1943), were honored during their time as undergraduates to be invited to participate in meetings there and to interact with such very gifted mathematicians. 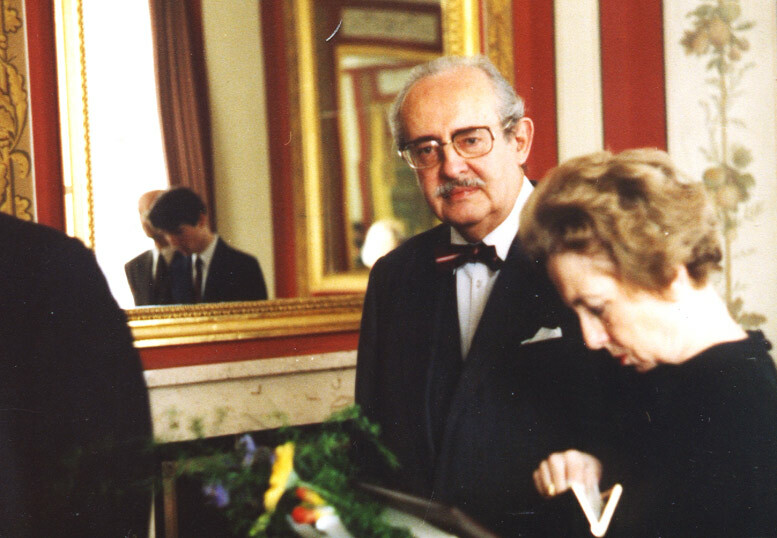 Professor Andrzej Alexiewicz (1917- 1995) comments that to be invited to the Scottish Café was tantamount to being knighted. Banach, Ulam and Stanisław Mazur (1905-1981) formed the most intensive working team there. One advantage of the Scottish Café was that it had marble table tops on which one could easily write and, perhaps more importantly, from which the writing could be easily and quickly erased. ,,One session lasted 17 hours and resulted in the successful proof of an important postulate concerning Banach spaces. No permanent record of it was made, however, and no one since 9 has been able to reproduce it because it was probably completely erased from the tabletop by the cleaners. Unfortunately, many other proofs derived by Banach and his students suffered the same fate. The many hours spent in discussion of mathematics problems resulted in an atmosphere of perseverance, excitement and concentration and made it possible to forge intellectual common ground." ,,These long sessions in the cafes with Banach, or more often with Banach and Mazur, were probably unique. Collaboration was on a scale and with an intensity I have never seen surpassed, equaled or approximated anywhere - except perhaps at Los Alamos during the war years." It would seem that for those who regularly took part in these meetings and discussions at the Scottish Café, what they were engaged in was not work but fun. It was in the end a significant achievement, therefore, by Banach's wife Łucja to have had the inspiration to buy a thick, hard covered notebook that she presented either to the cashier or barman, or perhaps to a cloak room attendant of the Scottish Café with instructions to give it to any mathematician who wanted to use it. Thus in the space of a few years there came into existence the so-called, and now famous, Scottish Book containing a collection of mathematics problems that the Lvov mathematicians challenged each other with (and also at the same time other world mathematicians), and which included the solutions to some of the problems. The list of Scottish Café guests who entered problems in the Scottish Book was as follows. 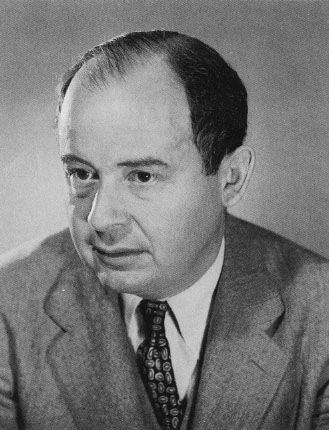 Stefan Banach was an author or co-author of 25 problems. 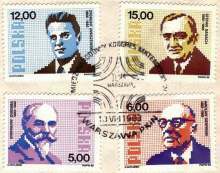 The others were: Stanisław Ulam (62 problems), Stanisław Mazur (49), Władysław Orlicz (14), Józef Schreier (10), Hugo Steinhaus (10), Herman Auerbach (8), Juliusz Schauder (7), Samuel Eilenberg (6), Max Eidelheit (5) Stanisław Ruziewicz (5), Mark Kac (4), Władysław Nikliborc (4), Edward Szpilrajn (Edward Marczewski) (4), Maurice Fréchet (2), Bronisław Knaster (2), Kazimierz Kuratowski (2), Stanisław Saks (2), Ludwig Sternbach(2), A.J. Ward (2), Pavel Alexandrov (1), 10 Nikolai N. Bogolyubov (1), Karol Borsuk (1), Kampé de Fériet (1), A.F. Fermant (1), Leopold Infeld (1), Stefan Kaczmarz (1), Lazar Lusternik (1), Antoni Łomnicki (1), Józef Marcinkiewicz (1), John von Neumann (1), A. Cyril Offord (1), Wacław Sierpiński (1), Sergei Sobolev (1), Simion Stoilov (1), Rolin Wavre (1), and Antoni Zygmund (1). 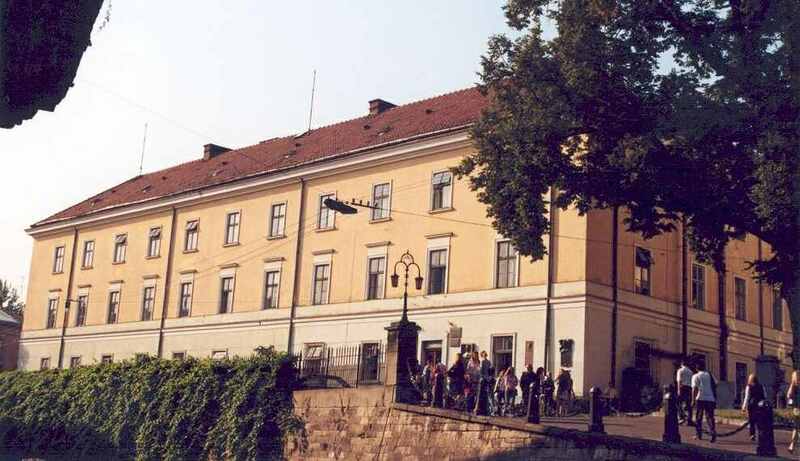 Formerly the Jan Kazimierz University, now the Ivan Franko University. 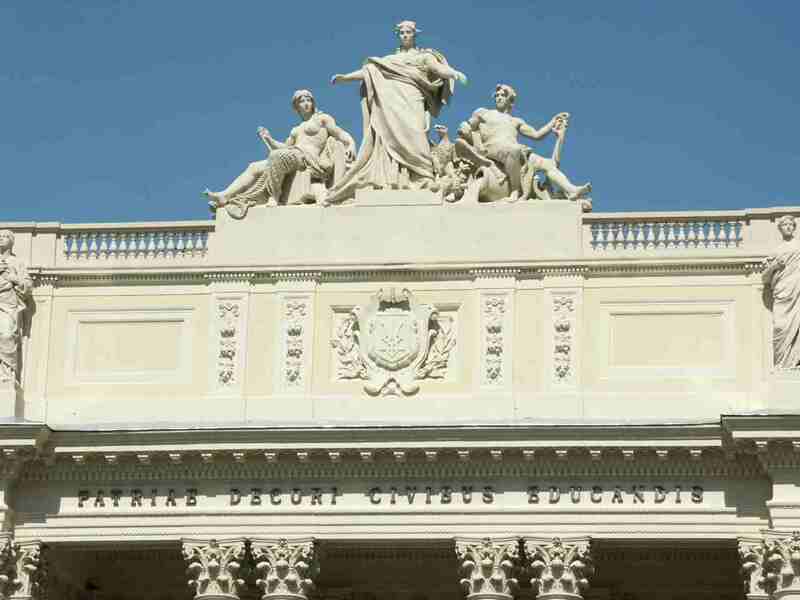 Patriae decori civibus educandis (Educated people adorn their country) - Sentencia in frontis almae mater miae). Anyone who entered a problem would offer a prize to the person who came up with the solution. Different sorts of prizes were offered: a bottle of wine (funded by Banach, Mazur, Ulam, Sobolev), a bottle of whisky ("of non-zero measure") (von Neumann), a bottle of brandy (Bogolyubov), a bottle of champagne (Lusternik), a few small beers (Mazur, Knaster), a small coffee (Steinhaus), 100 grams of caviar (Steinhaus), 1 kilogram of bacon (Saks), a lunch in the Dorothy restaurant in Cambridge (Ward) , a dinner in the best hotel in Lvov: the George (Steinhaus), a "fondue" in Geneva and "fondant" in Lvov (Wavre), and even a live goose (Mazur). The Scottish Book went through some tempestuous times during the years after it came into existence. The Soviets arrived in the city shortly after the outbreak of war and the later entries in the book clearly indicate that it was Soviet mathematicians who had made them. Following established "protocol" they too promised prizes for solutions to the problems they entered in it. 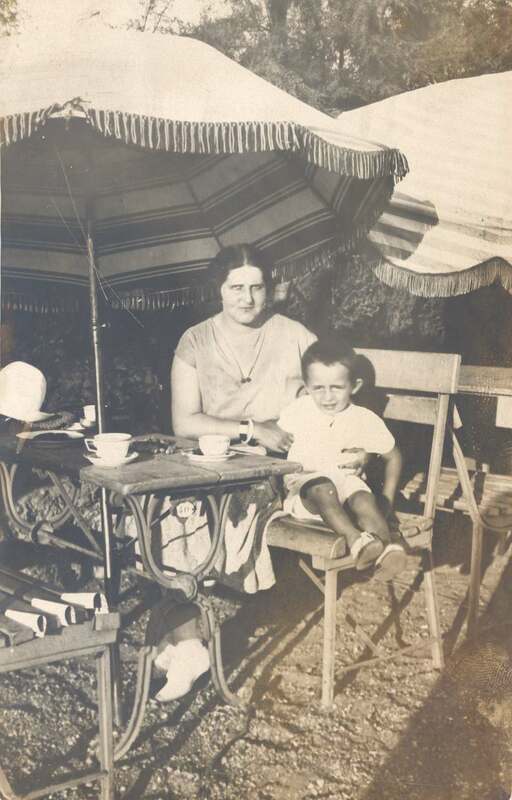 From the left: Łucja Banach, Stefan Banach with son Stefan Jr., Marseilles (France), 1925. 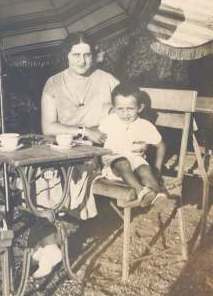 Łucja Banach with son Stefan Jr., Marseilles (France), 1925. 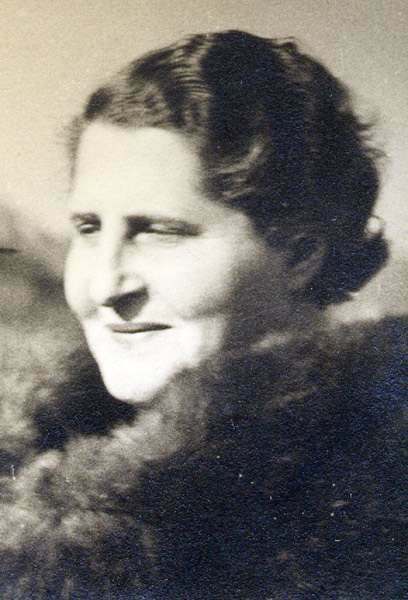 Łucja Banach took the Scottish Book with her to Wrocław after World War II. 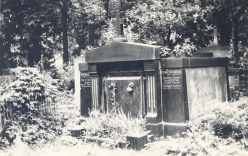 After her death in 1954 it passed into the hands of son Stefan Banach Jr, a neurosurgeon, and subsequent to his death into the possession of his close family (his widow and two daughters) where it now resides. ,,For Polish mathematicians the Scottish Book became an almost holy relic. Copies of it have been circulated worldwide but the original is exhibited only rarely. At the urging of Steinhaus a new notebook was purchased in Wrocław and was named the New Scottish Book. It was in use between 1946 and 1948 and fulfilled a role similar to that of the original Scottish Book in Lvov. It was in the care of Professors Marczewski and Steinhaus. The tradition of the Scottish Book was thus continued. However, the new version lacked the mythical and legendary qualities that have characterized the original, the unique and inimitable only one." At Steinhaus' direction the Scottish Book was transcribed in type. 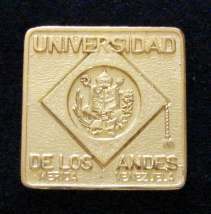 In 1957, Ulam had the book translated into English and distributed copies of the translation among mathematicians . At the time the Soviet army first occupied Lvov on 22 September 1939, the schools were all open and instruction was in the Polish language. 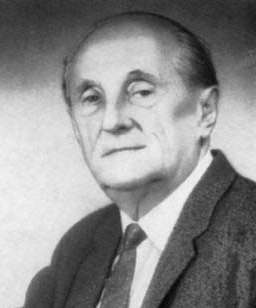 Banach was still a professor at Lvov University and was also dean of the Mathematics and Philosophy Faculty there. He was shortly later elected a Corresponding Member of the Ukrainian Soviet Republic's Academy of Sciences. Although always reluctant to get involved in politics he accepted the nomination to be a delegate member of the Lvov City Council. He also kept well informed about and eagerly followed the work and significant achievements of his former coworkers and students in the USA. ,,My father was invited to a conference in Kiev, two days before the war broke out between Germany and the Soviet Union. He went there and when he came back the war had started. He had immediately taken the last train to Lvov and arrived just before the Germans took over the city. I dared to ask him in private why he did not stay (in Kiev). He looked at me for a while and then he shrugged and told me that he loved us and that was the way every Banach behaved." German troops entered Lvov during the night of 30 June/1 July 1941, three days after the Soviets had fled the city. Its inhabitants were still under the shock of the monstrous crime perpetrated by the NKGB [People's Commissariat for State Security - the Soviet secret police, intelligence and counterintelligence service] on several thousand prisoners. On 2 July, the Germans arrested Professor Kazimierz Bartel at the Polytechnic. During the night of 3/4 July, SS and Gestapo formations arrested a group of 22 professors of the Jan Kazimierz University, the Lvov Polytechnic and the Veterinary Academy. They shot them all on the Wulka Hills near Lvov at dawn on 4 July . 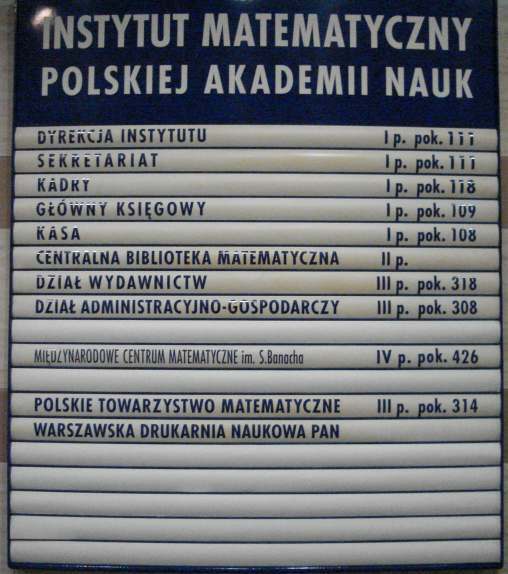 During the time between 1939 and 1945 the Polish School of Mathematics suffered very heavy losses. Many mathematicians were murdered. 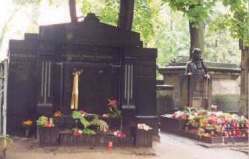 Among them were: Herman Auerbach (1901-1942); Kazimierz Bartel (1882-1941); Max Eidelheit (1910-1943); Antoni Hoborski (1879-1940); Stefan Kaczmarz (1895-1940); Stefan Jan Kempisty (1892-1940); Michał Kerner (1902-1943); Mojżesz D. Kirszbraun (1903 or 1904-1942); Stanisław Marian Kołodziejczyk (1907-1939); Adolf Lindenbaum (1901-1942); Antoni Łomnicki (1881-1941); Józef Marcinkiewicz (1910-1940); Aleksander Rajchman (1890-1940); Stanisław Ruziewicz (1889-1941); Stanisław Saks (1897-1942); Juliusz Paweł Schauder (1899-1943); Józef Schreier (1908-1942); Włodzimierz Stożek (1883-1941); and Zygmunt Zalcwasser (1898-1943). 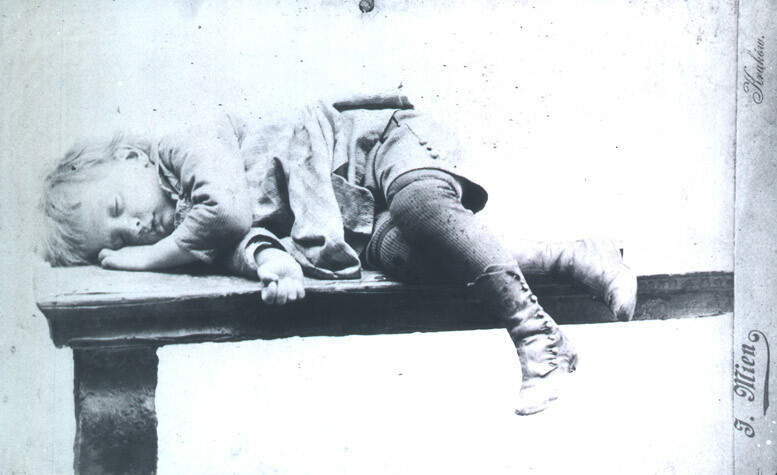 Some died from natural causes and war privations: Leon Chwistek (1884-1944); Samuel Dickstein (1851-1939); Stefan Mazurkiewicz (1888-1945); Witold Wilkosz (1891-1941); Stanisław Zaremba (1863-1942), and many others. During the German occupation of Lvov (1941 to 1944) Banach, together with numerous other academicians, various cultural figures, some members of the resistance, as well as school and university students, including his own son (a medical student), was able to secure employment only at the Institute for Typhus Studies. It operated under the direction of Professor Rudolf Weigl and included experiments that required the feeding of lice with human blood. It was a study of importance and urgent interest to the German military and, therefore, provided the participants with an invaluable document that afforded them protection from persecution by the occupiers. At the outbreak of World War II the Biology Faculty at the Jan Kazimierz University in Lvov, working in response to the needs of the Polish Government's Ministry of the Army, was producing large quantities of a vaccine against epidemic typhus. 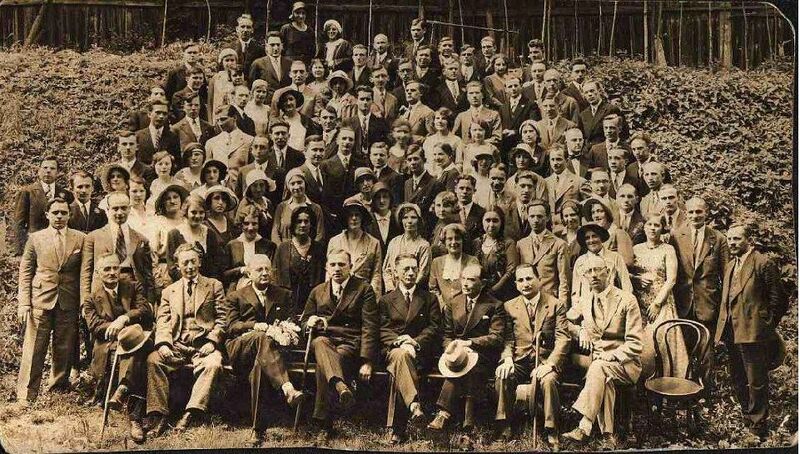 It was for this reason that, following the Soviet occupation of Lvov, on 22 November 1939, the Weigl Institute was incorporated into the newly created Institute of Bacteriology and Sanitary Science, and the Professor was ordered to continue with the production of the vaccine. Thereafter, with the exception of small quantities for civilian use, the rest was being shipped to the Soviet Union to protect the Red Army. In June 1941, the armed forces of the Third Reich attacked the Soviet Union and entered Lvov. The Institute, then called the Institute of Epidemiology and Sanitary Science, was renamed Institut für Fleckfieber und Virusforschung des OKH and, together with the Weigl Institute, came under the control of the Germans. Profesor Weigl was left in charge as Director of the Institute and required to continue, and even to increase, the production of the vaccine. 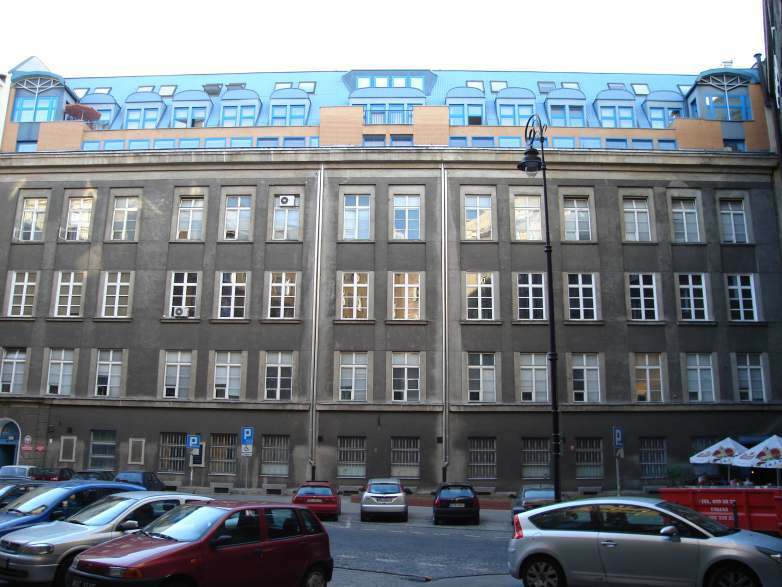 A building on Potocki Street, at one time part of the Queen Jadwiga Grammar School, and more recently used by the Soviets, was provided for this end, and the entire production of the vaccine was earmarked for use by the German land armies. ,,It was the highly complicated situation the academic staff found itself in July 1941, that motivated Weigl to continue to run the Institute. He saw, thereby, an opportunity to help the large 13 group of professors and their assistants who had been left deprived of work and position. He successfully extorted the Germans to allow him to take full responsibility for and decide alone whom to choose to be on his staff. The Institute thus grew quickly in size. An unusual and unique group was formed to produce the vaccine for epidemic typhus. It consisted of not just the academics but also of the youth conspiring against the occupiers and threatened with deportation to Germany, and fighters in the underground resistance. Their only common link with the Institute was the work permit they each received." Banach's work at the Institute lasted until the end of the Nazi occupation of Lvov, that is, until July 1944. He was shortly thereafter offered the Chair of Mathematics at the Jagiellonian University in Krakow, but his serious illness, and ultimate death, prevented him from assuming the position. ,,During that time my father came and visited me in Krakow in 1944. He spent a couple of days there and looked better (...). He told me that he was "switching" to study physics problems and had some ideas that should win him the Nobel Prize. Our parting was sad and tinged with a sense of hopelessness. Reality dealt us a blow worse than we could have imagined because that was the last time I saw him." Władysław Nikliborc (1889-1948) took selfless and very attentive care of the gravely ill Banach during the last few months of his life. 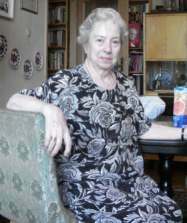 ,,For several months Nikliborc nursed my father and my grieving mother and was a guardian and messenger boy for them. I do not know how within this little person there could be so much heart and courage." 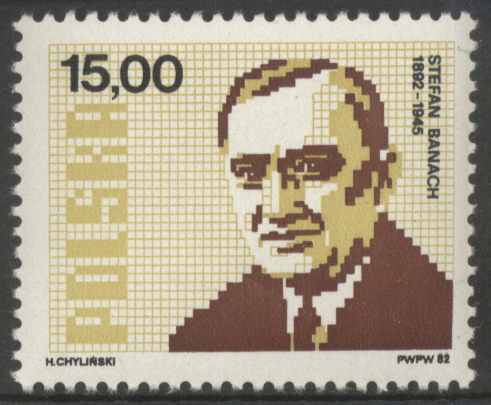 Stefan Banach died from lung cancer on 31 August 1945. 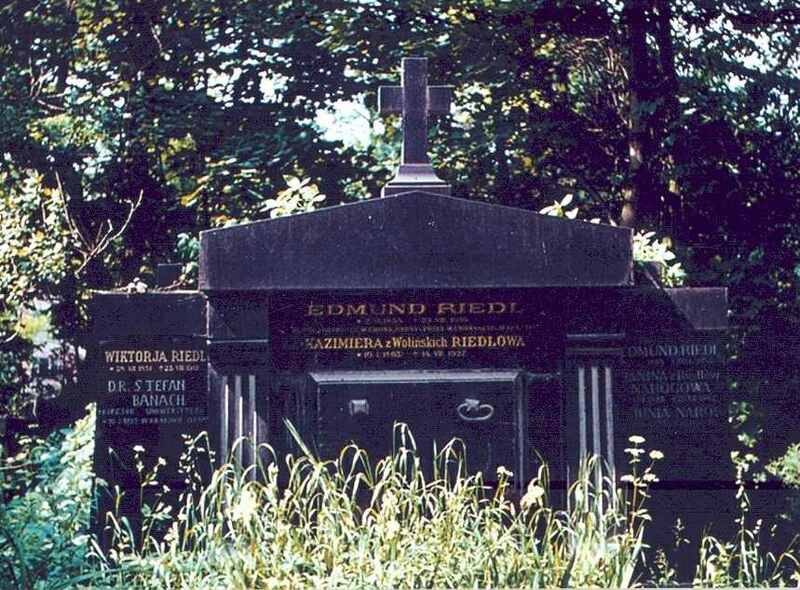 He died in Lvov, at the house where he had been staying with his friends, the Riedl family, and was interred in their family sepulcher in the Łyczaków Cemetery in Lvov, next to the tomb of Maria Konopnicka. 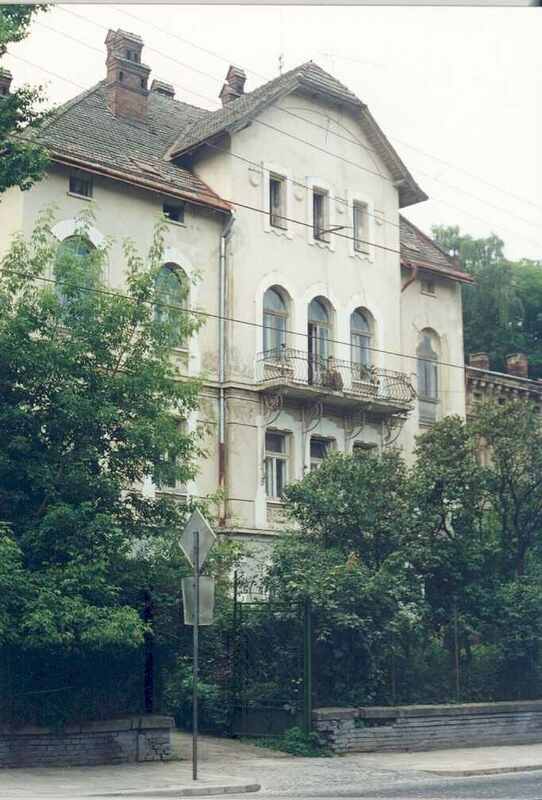 The house of the Riedl family, where Stefan Banach died. Stefan Banach died before his time at the young age of 53 when still full of plans and ideas, and with a very promising future ahead of him. 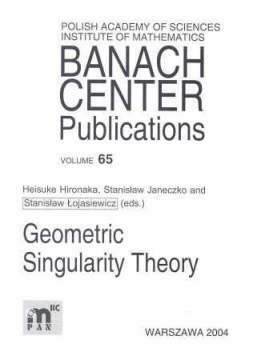 Functional analysis which Banach created continued to spread to countless mathematics centers throughout the world. His ideas and discoveries have been bearing fruit and radiating to all the continents. The designation Polish School of Mathematics, of which he was the pillar, architect and founder, has become a symbol of excellence. 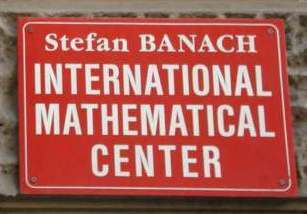 The name of Stefan Banach has already been cited 12,000 times in mathematics publications worldwide. As of December 2006, the Google Internet search engine has indexed more than one million pages in which the term Banach space appears (in various languages). The term Banach algebras appears approximately 200,000 times, and the Hahn-Banach theorem 100,000 times. 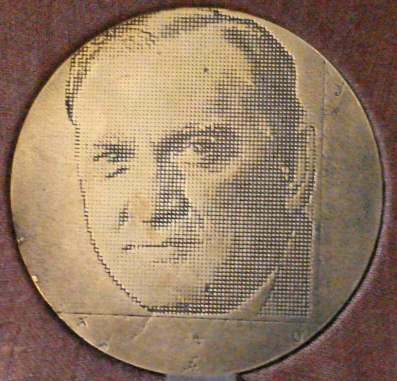 In 1946, the Polish Mathematical Society established the Stefan Banach Award, and the Polish Academy of Sciences has conferred a special Stefan Banach medal since 1992. 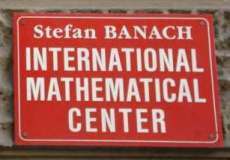 Many schools and streets have been, and continue to be, named after him, and in 1972 the International Stefan Banach Mathematical Center was established. 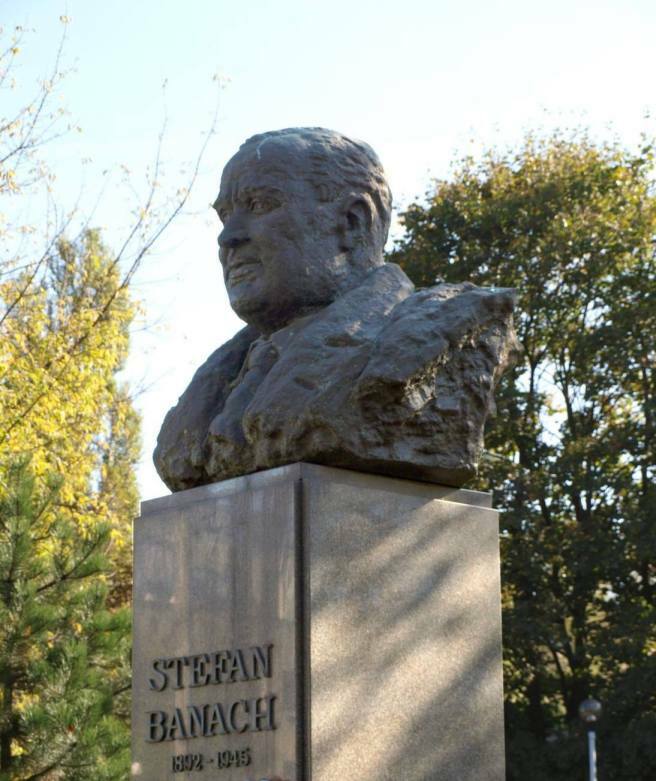 In 1999 in Krakow, a statue of Stefan Banach was unveiled on the 54th anniversary of his death. 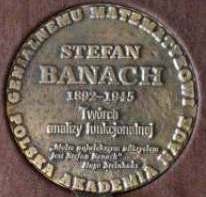 Medal of the Polish Academy of Sciences to commemorate the hundredth anniversary of the birth of Stefan Banach. 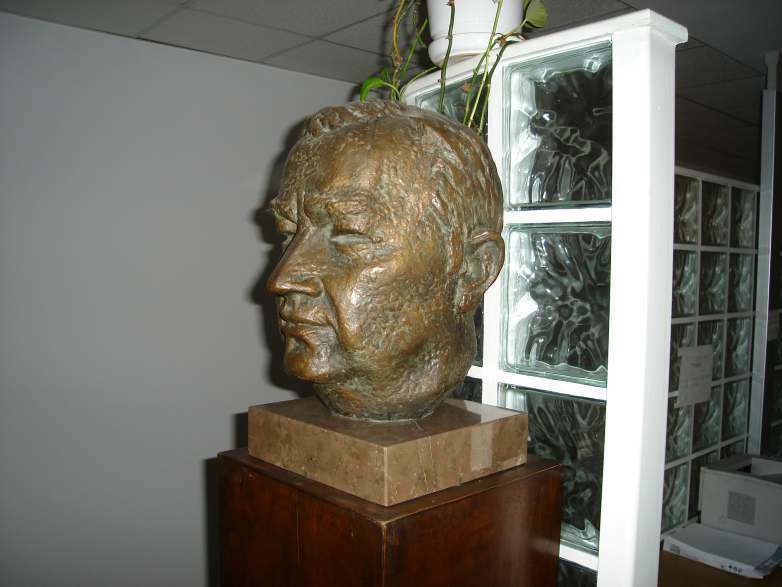 Bust of Stefan Banach in the Stefan Banach International Mathematical Center in Warsaw. Statue of Stefan Banach in front of the Mathematics and Physics Institute of the Jagiellonian University in Krakow. (Zespół Szkół Technicznych i Ogólnokształc±cych) in Jarosław. 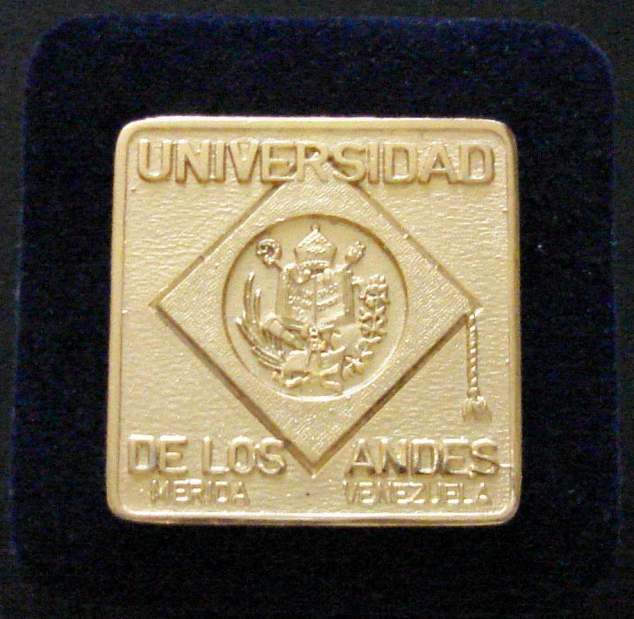 Medal and diploma h.c. of the University of the Andes (Venezuela) for Stefan Banacha. Poster to commemorate the hundredth anniversary of the birth of Stefan Banach. 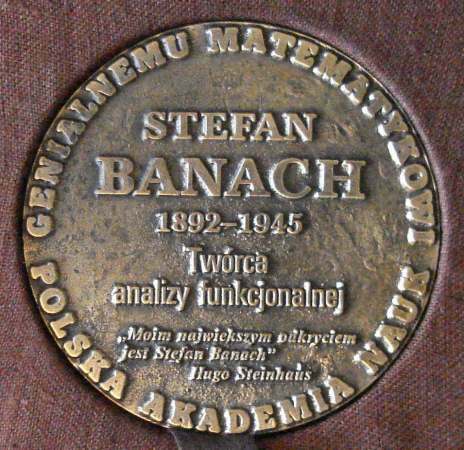 ,,Banach was the unquestioned superstar of Polish mathematics and his name is known wherever mathematics is taught. In the short fifty-three years of his life (...) he succeeded in combining an overwhelming flow of brilliant ideas with a style of high living that few men could sustain." ,,Banach gave to Polish science, and particularly to Polish mathematics, more than anyone else. (...) He combined within himself a spark of genius with an astonishing internal urge, which addressed him incessantly in the words of the poet: "there is only one thing: the ardent glory of one's craft" ["Il n'y a que la gloire ardente du métier" (Verlaine)] - and mathematicians well know that their craft consists of the same secret as the poets' craft." Marian Albiński, "Wspomnienia o Banachu i Wilkoszu" (Reminiscences of Banach and Wilkosz), Wiadomo¶ci Matematyczne 19, 133-135 (1976). Roman Kałuża, Through a Reporter's Eyes: The Life of Stefan Banach (Birkäuser, Boston, 1996, 2005) and, in Japanese, Banacha to Porando Sugaku (Banach and Polish mathematics) (Springer Mathematics Club). These are translations from Polish of Stefan Banach (GZ Publ., Warsaw, 1992). 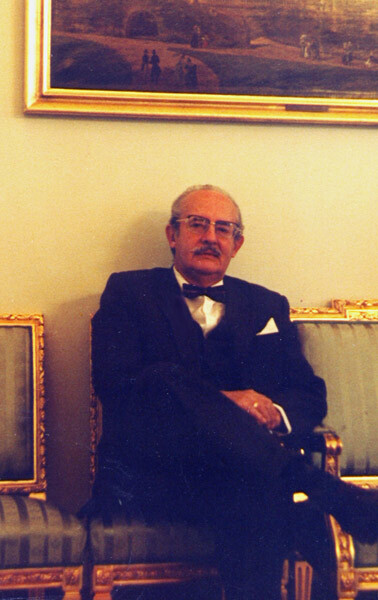 Andrzej Turowicz, Reminiscences recorded on a tape (in Polish), Tyniec, April 27th, 1989. 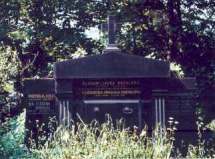 Zbysław Popławski, Dzieje Politechniki Lwowskiej 1844-1945 (History of Lvov Polytechnic 1844-1945) (Wrocław-Warsaw-Krakow, Ossolineum, 1992); Politechnika Lwowska 1844- 1945 (Lvov Polytechnic 1844-1945), ed. R. Szewalski et al. (Wrocław, Wrocław Polytechnic Publ., 1993). 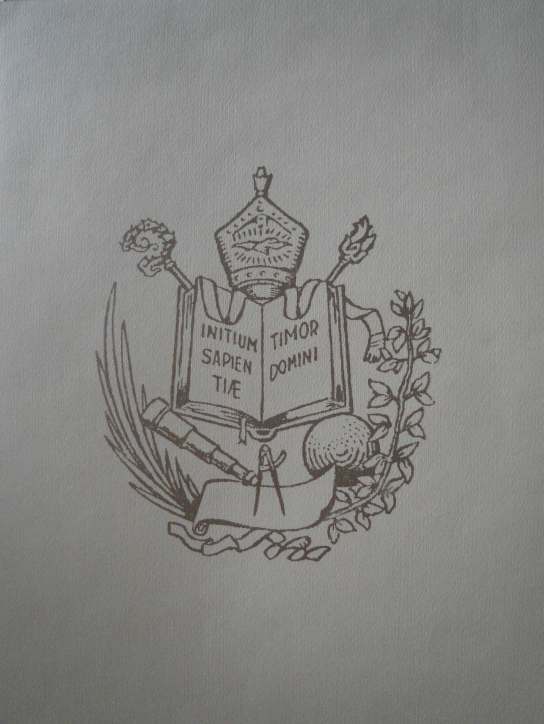 Tadeusz Riedl, Chodz±c po Lwowie (Strolling in Lvov) (Bernardinum Publ., Pelplin, 2006). 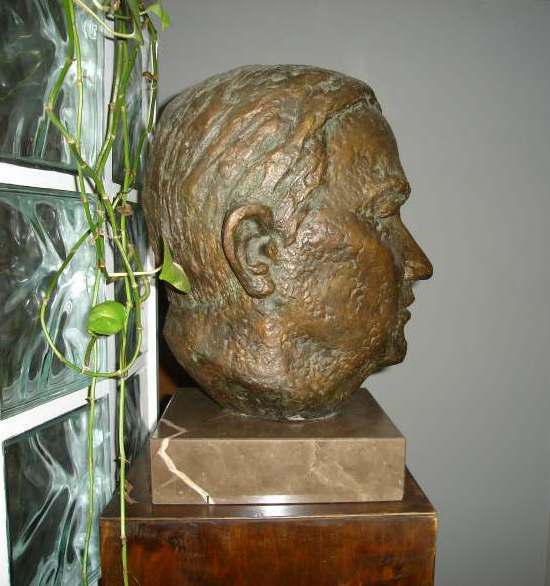 Hugo Steinhaus, "Stefan Banach. Przemówienie wygłoszone na uroczysto¶ci ku uczczeniu pamięci Stefana Banacha", (Stefan Banach. An Address Delivered at the Stefan Banach Memorial Conference), Wiadomo¶ci Matematyczne 4, 251-259 (1961). Krystyna Wuczyńska, "O podręcznikach szkolnych Stefana Banacha", (About the School Textbooks Written by Stefan Banach), Matematyka 45, 96-100 (1992). Krzysztof Ciesielski, Zdzisław Pogoda, "Mathematical Diamonds", Prószyński i S-ka, Warszawa, 1997. Stefan Banach, Théorie des opérations linéaires, Monografie Matematyczne (Mathematical Monographs) vol. 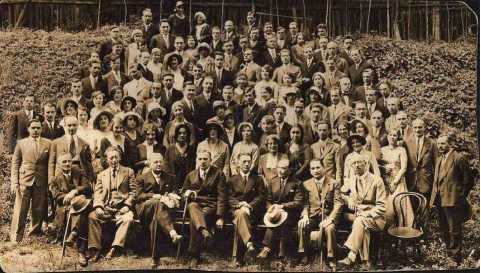 1 (Fundusz Kultury Narodowej, Warszawa, 1932). This is in an extended version of the Polish edition of Teorja operacyj. Tom 1. Operacje linjowe (Theory of Operations. Vol. 1: Linear Operations) (Kasa im. Mianowskiego, Warszawa, 1931). Other reprints in French: Hafner Publ., New York, 1932, 1948; Chelsea Publ., New York, 1932, 1955, 1963, 1978, 1988, 1999; Jacques Gabay, Sceaux (France), 1993; also reprinted in Banach Oeuvres. English trans. : Theory of Linear Operations (North-Holland, Amsterdam-New York-Oxford-Tokyo, 1987). Russian trans. : Theory of Linear Operations (R C Dynamics, Izhevsk 2001, 3rd ed.). Ukrainian trans. : A Course in Functional Analysis (Radianska Shkola, Kiev, 1948). Kazimierz Kuratowski, A Half Century of Polish Mathematics: Remembrances and Reflections (Pergamon Press, Oxford and Polish Scientific Publ. PWN, Warsaw, 1980). This is a translation from Polish of Pół wieku matematyki polskiej 1920-1970 (Wiedza Powszechna, Warsaw, 1973). Stefan Banach, Rachunek różniczkowy i całkowy (Differential and Integral Calculus), vol. 1 (Zakład Narodowy im. Ossolińskich, Lvov 1929), vol. 2 (Ksi±żnica-Atlas, Lvov, 1930). Russian trans. : Differential and Integral Calculus (Fizmatgiz 1958; Nauka, Moscow, 1966, 1972, 1986). Hungarian trans. : Differenciál és Integrálszámítás (Tankönyvkiadó, Budapest 1967, 1969, 1971, 1975). Stefan Banach, Mechanics, Monografie Matematyczne (Mathematical Monographs) vol. 24 (Warszawa-Wrocław, 1951). This a translation from Polish of Mechanika w zakresie szkół akademickich (Mechanics - In the Scope of Academic Studies), part 1 - Monografie Matematyczne vol. 8, part 2 - Monografie Matematyczne vol. 9 (Warsaw-Lvov-Wilno 1938). 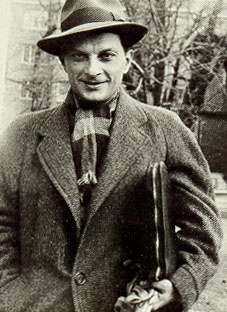 Stanisław Ulam, Adventures of a Mathematician (USP, Berkeley, USA, 1976, 1991). Edward Marczewski, "Pocz±tki matematyki wrocławskiej" (The Beginnings of the Wroclaw School of Mathematics), Wiadomo¶ci Matematyczne, 12, 63-76 (1969). Stanisław Ulam, The Scottish Book: a Collection of Problems (Los Alamos, 1957). 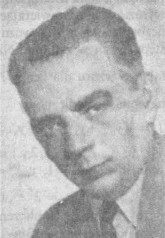 Zygmunt Albert, KaĽń profesorów lwowskich - lipiec 1941 (Massacre of the Lvov Professors - July, 1941) (Wrocław University Publ., Wrocław, 1989). Mitchell Feigenbaum, "Reflections of the Polish Masters: An Interview with Stan Ulam and Mark Kac", Los Alamos Science 3, No. 3, 54-65 (1982). Mark Kac, Enigmas of Chance. An Autobiography (Harper Row, New York, 1985). 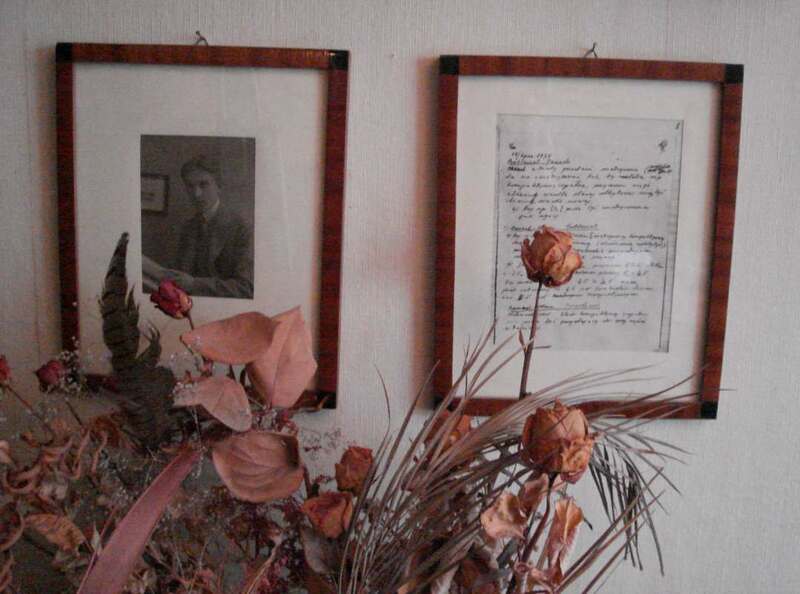 Family mementoes of Stefan Banach at the home of Alina Filipowicz-Banach. We deeply thank Prof. dr. hab. med. Alina Filipowicz-Banach and the whole of family of Stefan Banach for their permission to post all the works and photographs of Stefan Banach on this website. We also thank Dr. John J. Greczek for this English translation. 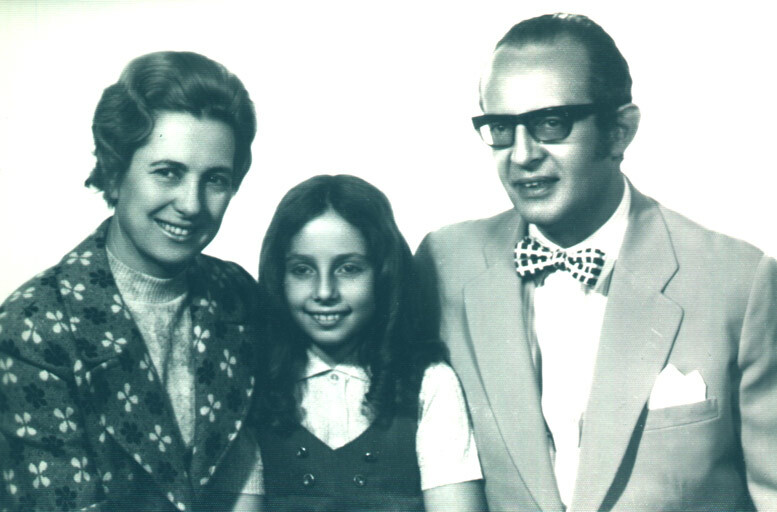 Stefan Banach Jr. with his wife, Alina Filipowicz-Banach, and their younger daughter Kasia. 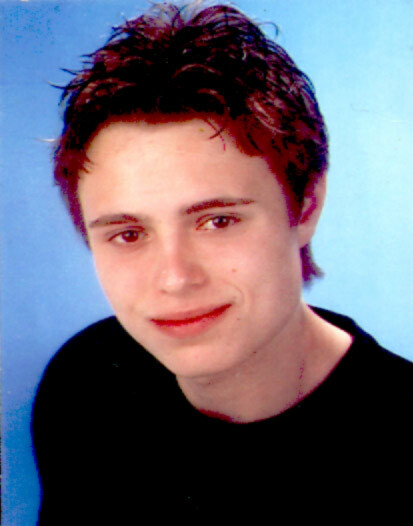 Joachim Stefan Suchowierski - son of Iwa Banach-Suchowierska, great-grandson of Stefan Banach. 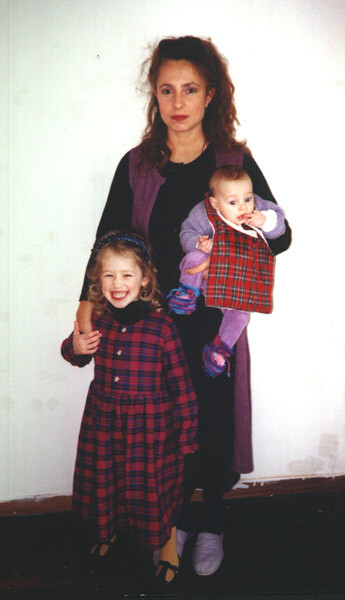 Kasia Banach - younger daughter of Stefan Banach Jr. with her daughters. On 23 Jan 2012, 15:47.